Raw blues mixed with gospel, rockabilly, and New Orleans rhythms, you'll begin to get an idea of the richness offered here. 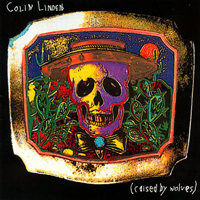 The combination of a fertile and full sound quality with a wide variety of musical styles makes for a disc that never gets dull his is a disc that was made to express the appreciation that Colin Linden, along with the musicians whom he has assembled, feels for this music. Thanks Bruce Cockburn for the belt buckle. And finally, thanks to everyone who released, played or bought the last album.